The Reverend William Taylor became superintendent of the Yorkshire School for the Blind in England in 1836. While at the school he developed his "Ciphering Tablet,” and the design was eventually used in schools around the world. 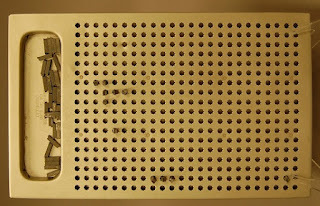 A metal board is pierced by rows of star-shaped octagonal holes. 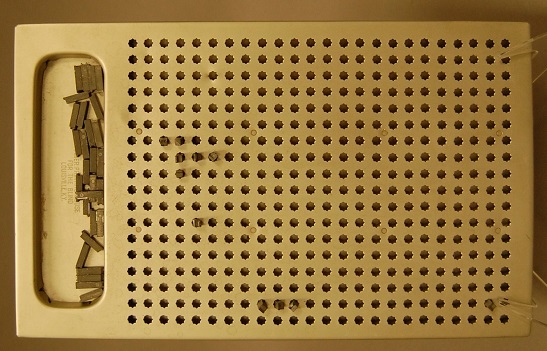 The board came with a stack of metal “types,” basically small rectangles with two raised pins on one side and a raised bar on the other. By rotating the types in the octagonal holes, each type could assume enough different shapes to represent all the numbers and the operator symbols. 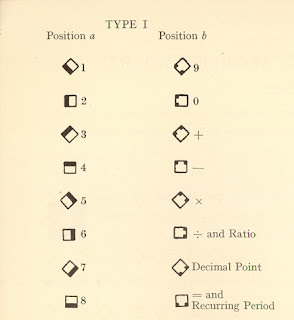 Other inventors had developed boards that used types with raised numbers on top. 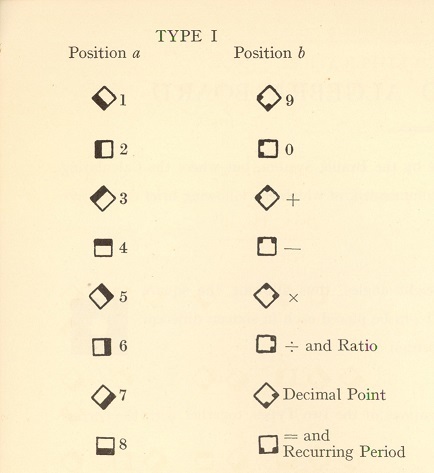 Since each piece of Taylor’s type could be used to represent all ten numbers and the operatives, there was less time wasted searching for a particular number. APH introduced its own Taylor Slate in 1938/1939, made from stainless steel. By 1953, the type was available in both lead and plastic. The product was discontinued by 1972. BUT… you can still buy one, amazingly enough. A company in India, Advance Engineering makes a lot of the older devices for the third world market.